David & Edee are Todd’s great great grandparents, the parents of Todd’s great grandmother Minnie Showalter. David Showalter was born May 17, 1850 in Ashland County, Ohio. His obituary and his Missouri Death Certificate list his parents as Joseph Showalter & Christina Elwood. However, his father’s name was David. David Showalter married Margaret Likes and had 6 children. After Margaret died, Joseph married her sister Christina Likes, and David was the 2nd of their 5 children. After Joseph died, Christina married Hezekiah Elwood and they had 2 children. Read more about them here. Edee May Baker was born August 21, 1849 in Ashland, Ohio. Her parents are Zachariah Baker & Edith Edee Busby. You can see Zachariah’s Find A Grave memorial here and Edith’s here. Read more about them here. On the 1850 US Census, David was 4 months old. His father Joseph was 46 and farming in Ashland County, Ohio. His mother Christine was 28, and his brother William was 2. 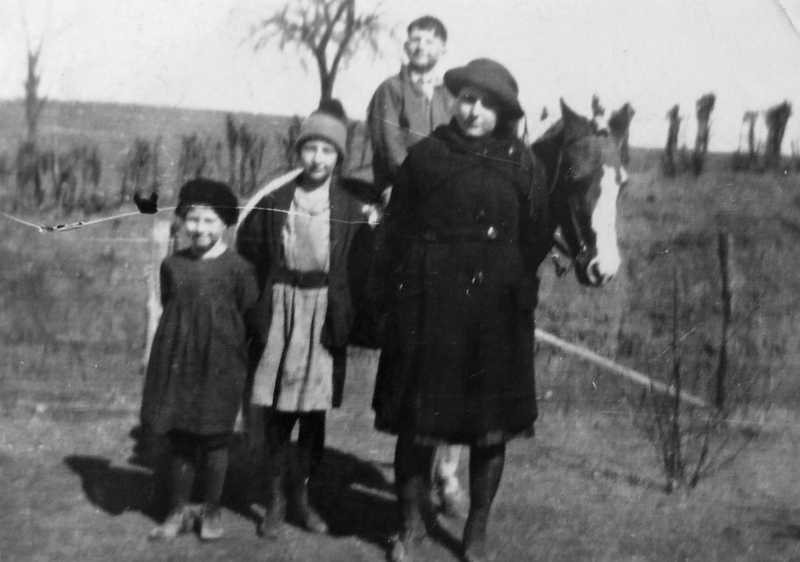 Half-siblings in the home were John, age 23; Margaret, age 16; Hannah, age 13; Ann, age 11; Sarah, age 9. On the 1860 US Census, David’s father had died, and the family was divided. David, age 10, lived with his cousin Jacob & Elizabeth Weltmer and their children in Ashland Ohio. The family story, as related in the family history written by Floyd Howes, is that David told his grandson that he was “bound out” for 5 years for $20 a year, and was very badly treated. His brother William Henry Showalter, age 11, lived with another Weltmer family. His mother Christina lived with her brother Abram Likes, a day laborer; two of his children; her mother Eve; and her children Joseph, 7, Martha, 5, and Abram, 4. On the 1870 US Census, David was 20 and lived with his future brother-in-law David McClure and family, farming in Ashland County, Ohio. David & Edee were married on November 26, 1871 in Ohio. They moved to Holt County, Missouri in 1875 and bought a 40 acre farm in Lincoln Township. They lived the rest of their lives on that farm. On the 1880 US Census, David and Edee were 30 years old, and they were farming in Holt County, Missouri. Son Abraham was 7, and son Ezra was 5. Edee died on May 13, 1899 in Holt County, Missouri. Her Find A Grave memorial is here. Mrs. Edee Showalter, wife of Mr. David Showalter, died very unexpectedly about eleven o’clock Saturday night, May 13, 1899. The family had retired for the night, and about eleven o’clock Mrs. Showalter got up to get more bed covers, but before returning to bed she became violently affected with heart trouble. One of the sons was at once sent to town for a physician, but it was only a few minutes until life became extinct and long before the physician arrived and before any of the neighbors could arrive. The summons was quick, but the good lady had so lived her life that she was fully prepared for the final end. For a number of years she had been in poor health, but during the past two months she had been feeling much better and before she retired for the night she was in the best of spirits. . . . At the time of her death she was aged 49 years, eight months and twelve days. . . Mrs. Showalter was a noble Christian woman, a strong Methodist in her belief, having united with that church when only 14 years old. She had always lived an exemplary life and was much devoted to her family and their religious welfare. On the 1900 US Census, David was 50 and widowed. He was farming in Holt County, Missouri. Joseph was 19, Edee was 15, Minnie was 8. A servant, Harvey Barrickman, age 22, lived with them. David married Tena Lawrence, a spinster, on March 28, 1910 in Holt County, Missouri. On the 1910 US Census, David, age 59, and Tena, age 51, were farming in Holt County, Missouri. Tena died on May 22, 1912. On the 1920 US Census, David was 69 and widowed again. He lived with daughter Edee, her husband Herman Wright, and their 5 children. I remember going to visit Uncle Joe, Grandfather David’s brother, when I was young. Uncle Joe was a tall and large man, quick moving, very jolly, one of those back thumping kind of person. I preferred my grandfather who was also tall and slender and on the quiet side. David died on October 20, 1927 in Holt County, Missouri. His Find A Grave memorial is here. Death of David Showalter Sr.
David … passed from this life on October 20, 1927 having attained the age of 77 years, 5 months and 3 days. He was the last to survive of a family of six children, namely, William Henry, David, Martha and Joseph Showalter and two half brothers, Frank and Thomas Elwood. Mr. Showalter’s father died when the children were at a tender age, and the widowed mother then moved to Ashland County, Ohio, where the deceased grew to manhood. . . He leaves to mourn his loss 24 grandchildren and 11 great grandchildren. . . He and his faithful wife toiled together and reared their family, bearing bravely the trials and struggles (of) pioneer life, ever ready to lend a helping hand to a suffering neighbor, or extend hospitality to the many weary travelers who passed their door, and by many tokens of kindness, the weary road was made brighter and shorter. By tireless industry and thrift, a comfortable home was established for the growing family. Mr. Showalter professed Christ in his young manhood and always lived a consistent Christian life, remaining steadfast in his faith to the end. His illness extended over a period of some years and at times his sufferings were very severe, but bourne patiently and without complaint, with a Christian fortitude. During the last few years of his life he had been tenderly cared for in his home, by his devoted daugther Mrs. Wright, with the assistance of the sons, and grandchildren who lived near enough to lend a helping hand. Impressive funeral services were held at the Sharp’s Grove Church Sunday, October 23, 1927 at 2:30 pm. . . . A very large crowd of neighbors and friends assembled to pay their last tribute of respect to the departed. In the passing of “Uncle Dave,” as he was affectionately and familiarly called by the community, in which he lived for so long, it loses one of its most sterling citizens. As a loyal supporter of church and school, his loss will be keenly felt. He was a kind and loving father and a good neighbor. Abraham H. Showalter – Abraham was born September 15, 1872 in Ashland County, Ohio. He married Lydia Catherine Judy on June 21, 1893 in Holt County, Missouri and they had 5 children. She died in 1920. He married Muriel Maude Adams/Atkins on October 29, 1921 in Troy, Kansas, and they had 2 children. He farmed in Holt County, Missouri, at one time living next door to Alexander Gray. See postcards Abraham sent to Alexander Gray here, here, and here. (Eventually, his niece Edna, Todd’s grandmother, would marry Alexander’s grandson Ralph.) Abraham died July 30, 1944 in Craig, Missouri. His Find A Grave memorial is here. Ezra Kindig Showalter – Ezra was born July 12, 1874 in Ashland County, Ohio. He married Cora Ellen Strough and they had 3 children. They farmed in Holt County, Missouri. He died on August 11, 1933 in Holt County, Missouri. His Find A Grave memorial is here. 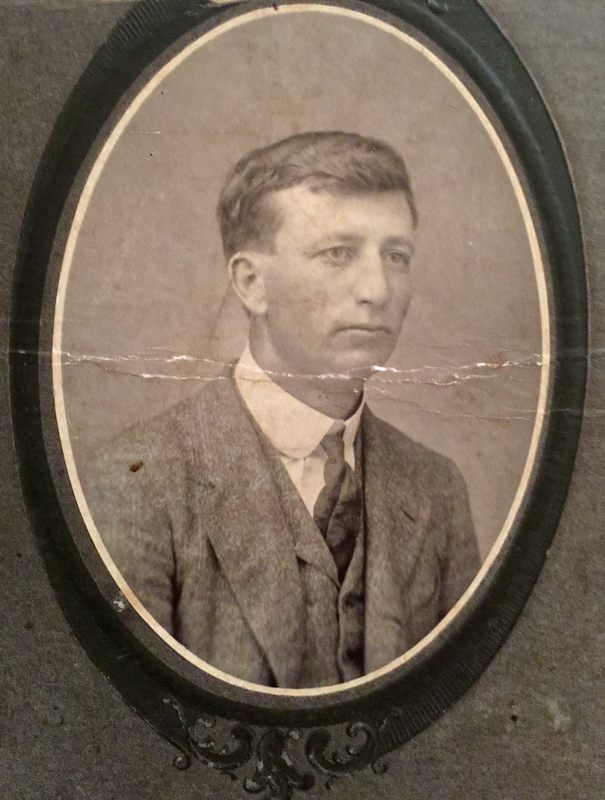 William David Showalter – William was born May 19, 1877 in Holt County, Missouri. He married Lucinda Chrisman on June 23, 1897 and they had 3 children. William worked as a farmer, and as a teamster at the water company. He died on November 27, 1957 in Craig, Missouri. His Find A Grave memorial is here. Joseph Ira Showalter – Joseph was born on December 23, 1880 in Craig, Missouri. He married Hattie Ruth Foster on December 23, 1907 in Holt County, Missouri. They had 5 children. They farmed in Holt County, Missouri and Richardson County, Nebraska. He died of malaria on October 22, 1922 in Craig, Missouri. His Find A Grave memorial is here. Nannie Jane Showalter – Nannie was born on May 27, 1883 in Craig, Missouri. She died on April 1, 1884 in Craig, Missouri. Her Find A Grave memorial is here. Edee May Showalter – May was born on May 15, 1885 in Craig, Missouri. She married Herman Wright on December 4, 1907 in Holt County, Missouri and they had 5 children. They farmed in Holt County, Missouri. She died on March 3, 1964 in Craig, Missouri. Her Find A Grave memorial is here. Minnie Alice Showalter – Minnie is Todd’s great grandmother. You can read more about her here. They had 2 more sons according to her obituary, but they aren’t named. This entry was posted in Hickman Family History and tagged Abraham H Showalter, Christina Likes Showalter Elwood, Cora Ellen Strough Showalter, David McClure, David Showalter, Edee May Baker, Edith Edee Busby Baker, Ezra Kindig Showalter, Hattie Ruth Foster Showalter, Jacob Weltmer, Joseph David Showalter, Joseph Ira Showalter, Lucinda Chrisman Showalter, Lydia Catherine Judy Showalter, Minnie Alice Showalter Hickman Sc, Muriel Maude Adams Showalter, William David Showalter, Zachariah Baker by fillinginthefamilytree.com. Bookmark the permalink. David Showalter (1850-1927) You have his death as of May 1927. I have his death certificate as well as his obit and he died Oct 20, 1927. He was my great grandfather. I can email you a copy if you would like for verification. Thanks. Thank you so much for catching this! I had a leaf on ancestry just now with the death certificate you posted, and I think I actually already had it. I don’t know how I ended up saying he died in May, because everything I have says the October date. I appreciate your help!